Manitoba is one of Canada’s Prairie Provinces. Manitoba is bordered to the south by the U.S states of North Dakota and Minnesota. 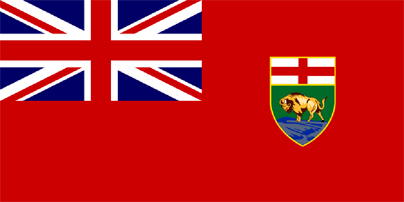 To the west of Manitoba is the province of Saskatchewan, while the province of Ontario lies to the East. Manitoba is home to about 1.2 million residents, over half of whom live in or around the province’s capital city of Winnipeg. The economy of Manitoba relies heavily on tourism, energy, agriculture, oil, minerals, mining, and forestry. In the southern part of the province, agriculture is also important. According to a study published in the Canadian Journal of Psychiatry and conducted by experts at the Canadian Center for Addiction and Mental Health, 13.5% of Manitobans have an addiction problem. This is higher than the Canadian national average of 11%. Amount reasons for Manitoba's slightly larger addict population include a high rate of poverty and a high proportion of displaced indigenous populations. Indigenous people who have largely lost their land and culture are known to be at increased risk for abuse of drugs and alcohol. To help combat drug and alcohol abuse and addiction in Manitoba, the Canadian government is working together with the provincial government through the Drug Strategy Community Initiatives Fund. Projects supported by the Fund are aimed at strengthening illicit drug abuse prevention among Manitoba’s youth. For instance, The Brandon Community Alcohol & Drug Education Coalition Drug Prevention Mobilization Plan is designed to help community members develop, implement, and promote educational and other activities aimed at preventing illicit drug abuse among young people. All of this is part of Canada’s National Anti-Drug Strategy. 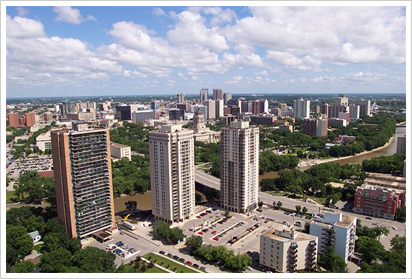 Winnipeg is the capital of Manitoba and also the largest city in the province. It is also the core cultural and economic center of Manitoba. The Winnipeg metropolitan area is home to nearly 700,000 individuals. Winnipeg is known for its harsh winter climate, which has led to its nickname “Winterpeg”. The Winnipeg Drug Treatment Court was developed in an attempt to curtail the cycle of drug addiction and abuse, criminal behavior, and incarceration. Drug treatment courts are special courts where the cases of drug addicted lawbreakers are heard. Instead of incarceration, drug addicted individuals are enrolled in treatment programs that involve the judiciary system as well as addiction service providers and community agencies that can help those suffering from drug addiction maintain a sober lifestyle. Winnipeg’s Drug Treatment Court is available to drug addicted offenders who are charged with non-criminal acts or acts related to possession and/or trafficking of illegal drugs. The defendant must be dependent on drugs, and this addiction must be the root cause of the criminal behavior. Sobriety Home is a residential drug and alcohol addiction treatment center located near a short drive from Ottawa. People come from all over Canada come to benefit from the rehabilitation services offered by Sobriety Home. Once they complete treatment and return home, clients continue to be followed and given support through the Aftercare program, which helps them maintain a sober lifestyle. An important benefit of Sobriety Home is that it offers facilities to support and aid you in your recovery, and promote the healing of sobriety. In addition to evidence based psychotherapy we also provide a variety of well studied holistic treatments proven to reduce stress and anxiety and promote wellness in mind, body, and soul. Programs as Yoga, Acupuncture, Tai-Chi, Mindfulness Meditation, Massage, and Native Healing are not cures for addiction. They are however excellent health habits which are proven to support recovery and naturally reduce and control stress and anxiety.